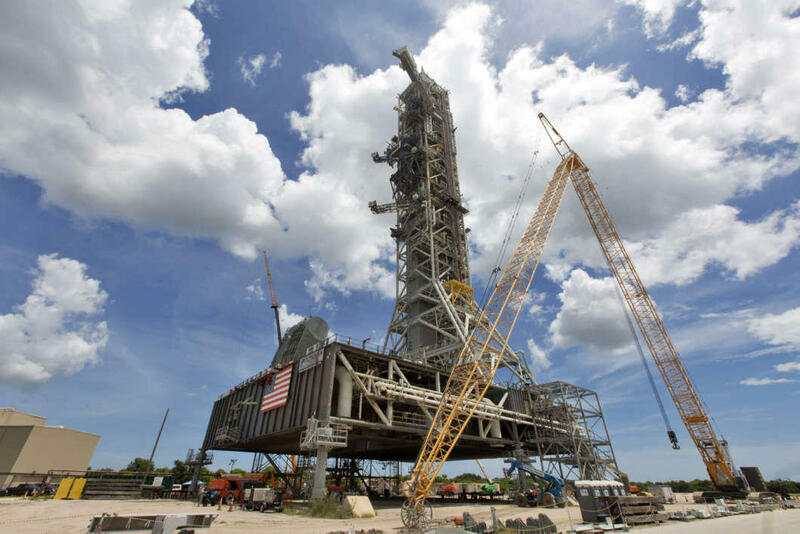 A swing test of the Orion crew access arm, topmost umbilical, is in progress on the mobile launcher at NASA's Kennedy Space Center in Florida, on Aug. 21, 2018. After a fit check, the crawler and pad will head back to the VAB to test more of the pad’s systems and the building’s upgrades. 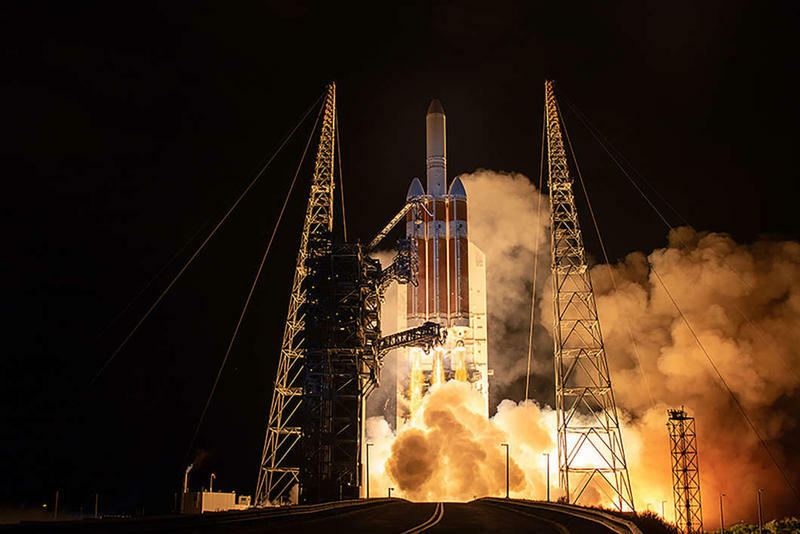 NASA is targeting the first launch of SLS for 2020, when it will send the Orion space capsule on a trip around the moon.